Thanks to a combination of procedural stupidity and inept party management, Theresa May suffered a wholly avoidable ‘Valentine’s Day Massacre’ on Brexit. I wrote yesterday that the PM’s latest motion was a dumb way to handle her own MPs. And so it came to pass, with the backbench European Research Group (ERG) again allowed to flex its muscles and inflict a humiliating Commons defeat on the PM. Some 66 Tories abstained and five voted against the government. That’s nearly a quarter of her MPs. What the vote did do however was spark a backlash from Remainer ministers, many of whom have long been ridiculed as bottlers or bumblers. Tobias Ellwood told Newsnight the ERG was ‘a party within a party’, foreign office minister Alistair Burt tweeted ‘we are not leaving without a deal’, business minister Richard Harrington told The House magazine the ERG were guilty of ‘treachery’. Remainer Cabinet minister David Mundell (one of those rumoured to be set to quit in protest at no-deal) pushed the envelope of collective responsibility by suggesting the PM would now have to bring forward her ‘second meaningful vote’ to the end of this month rather than leave it to a March nailbiter. I have to say the government frontbench looked battered and bewildered last night soon after the vote was read out. May was absent, as were most of her Cabinet. Brexit secretary Steve Barclay (whose inexperience showed during his opening of the debate) and deputy chief whip Chris Pincher (who along with his boss has real questions to answer) were slumped together in splendid isolation, as the jeers roared across the despatch box. Behind them, loyal Tory MPs looked shellshocked too. It was a neat vignette of the enduring power of well-organised Eurosceptics like Steve Baker (pictured above) and Jacob Rees-Mogg. Ken Clarke put it well when he called the ERG the Tory ‘Momentum’. And as everyone knows, Momentum have proved pretty damned effective. And still no-deal looms large. As I reported in my long read earlier this week (go on, it’s Friday you have time now), it is finally beginning to dawn on Tory MPs that this is no longer just a bluff or a negotiating position. Sir Oliver Letwin declared “when the chips are down..this Prime . Minister..would prefer to…head for the exit door without a deal”. “That is a terrifying fact,” he said. Leadsom this morning again insisted no-deal was the default legal position, praising “my friends and colleagues in the European Research Group”. She went further, dismissing Dominic Grieve’s warning that half a dozen Cabinet ministers could quit over no-deal. “We’ve had a huge number of resignations of Brexit-supporting colleagues. Resignations from government do happen.” The big question later this month will be this: will the Remainer herbivores start eating meat? For all the focus on Tory splits on Europe, Labour’s are pretty deep too. Although its whips did an impressive job on the main motion defeat, on the SNP amendment some 41 Labour MPs defied the party line to abstain and instead backed the move to delay Brexit by at least three months. Earlier, two shadow ministers (Clive Lewis and Paul Sweeney) warned Jeremy Corbyn may never be forgiven if Labour helped bring about a Tory Brexit. In the chamber, Chris Leslie said “I certainly feel we are being played for fools by the leadership” over the idea of a second referendum. There were frantic calls last night to check Chuka Umunna had resigned the whip or if half a dozen other MPs were going to follow him. The Guardian’s Jess Elgot reports one MP saying they will ‘wait until the moment of betrayal’ ‘when Jeremy…rules out a second referendum’. Most interest in No.10 however will be on Flint’s staunch opposition to ‘Cooper 2′, the fresh bill from Yvette Cooper to legally force May away from no-deal through an extension of Article 50. Flint says Cooper 2 will be ‘even worse’ than its predecessor because it lacks a time limit and could see Brexit delayed indefinitely. “At its most worrying I think it is a Trojan horse [for a second referendum],” she says. The former minister adds that the number of Labour MPs determined to deliver on their constituents’ Brexit vote could be up to 60. The final week of February is going to be a helluva ride folks. For the Opposition as well as the government. At Monday’s PLP meeting, Louise Ellman shocked fellow Labour MPs by holding up an anti-Semitic image that had been posted on Facebook by a member of her local party. The graphic depicted an Alien-style parasite smothering the face of the Statue of Liberty, with a Star of David on its back. Ellman also shared other information showing that the local activist, Kayla Bibby, had explicitly requested permission from a white supremacist website to share the image. That website is so offensive it is blocked by the Parliamentary authorities. Other images and articles on the site were also handed out on a paper distributed by Ellman. The MP’s point was that Bibby had not been disciplined properly and had been given only a ‘reminder of conduct’ and was still in the party. She had never apologised and had apparently never even been sent for formal anti-semitism training. Bibby was allowed to attend last year’s Labour conference while she was investigated. Well, now we can report that Bibby has indeed been suspended by the party following fresh evidence about her conduct. We also report that she was on a candidates list for the Liverpool city council elections but has also been dropped from that. Bibby says: “The Labour Party now has a modern and well functioning disciplinary process as you will know and I am of course delighted that this is being looked into.” Ellman tells me the suspension was a welcome first step, but wants a full expulsion. The Bibby case is in many ways typical of the way complaints are now handled, several MPs believe. They worry that ‘reminders of conduct’, without even any training or apology, have become all too common in the past year. Some 146 cases were dealt in that way since April, and a further 220 not deemed to have sufficient evidence to have breached party rules. This is an issue that isn’t going away. The Bibby case is also typical of how both sides see anti-Semitism. Those close to her suggest she used a ‘blue’ Star of David to represent Israel, rather than Jews as a a race. Others will see that as barely credible, given the bile on the US website she got it from. Meanwhile, last night a packed meeting of Luciana Berger’s Liverpool Wavetree party narrowly voted not to back either a motion of confidence or no confidence in its executive. Some sources claim Momentum was split, with local activists wanting to strongly endorse its chair and others preferring not to make the whole row even worse. As it happens, Jacob-Rees Mogg landed in his own spot of bother last night, after telling Question Time that during the Boer War, British “concentration camps had exactly the same mortality rate as as existed in Glasgow at the time…they are not a good thing but where else were people going to live?’ Some estimates put the number of deaths in the camps at 28,000, with 80% of those dying children. Next week’s planned February half-term recess has been cancelled, but for some MPs the break is still going ahead. The Sun’s Matt Dathan reveals that at least 50 Labour and 50 Tory MPs have been ‘paired off’ to allow them to be away (many with pre-arranged childcare commitments). Yesterday, Commons Leader Andrea Leadsom unveiled a frankly thin list of business for the main chamber, but as I’ve been saying for a while the real priority is ‘upstairs’ in committee rooms where hundreds of statutory instruments need to be approved for Brexit. 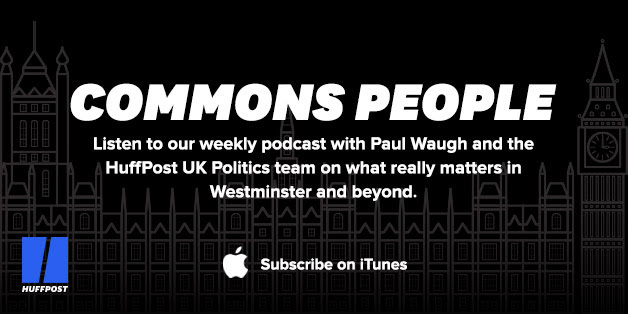 As mentioned above, our latest CommonsPeople features Labour MP Caroline Flint. It wasn’t all Brexit of course and she chatted about Churchill and how to get a room with a view in Parliament. Oh, and she took part in our weekly quiz (where I definitely learned something brand new). Click HERE to listen on Audioboom or below for iTunes.